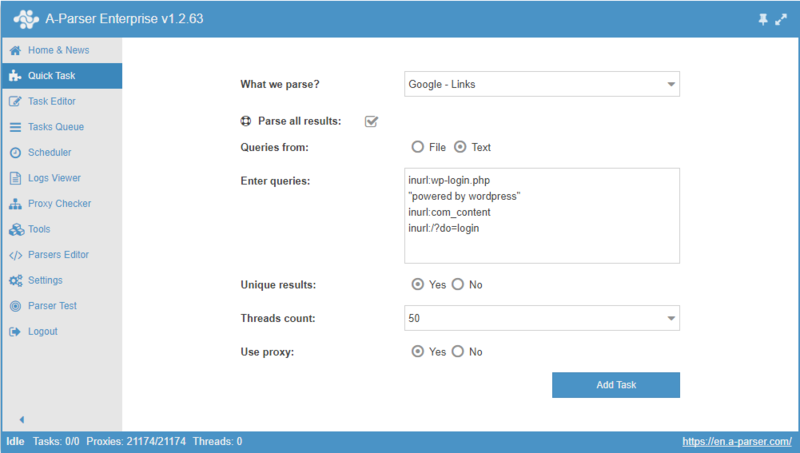 Our simplified editor allows you to easily create simple tasks with minimal parsing settings. 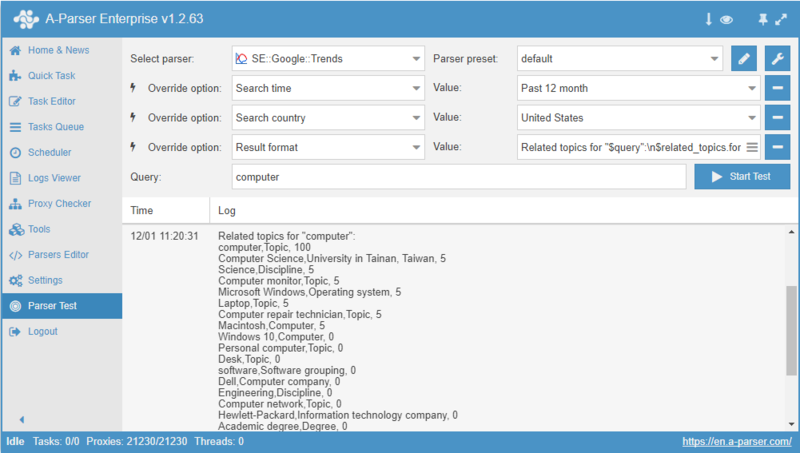 A full-featured task editor allows you to effectively utilise all the features included in A-Parser. 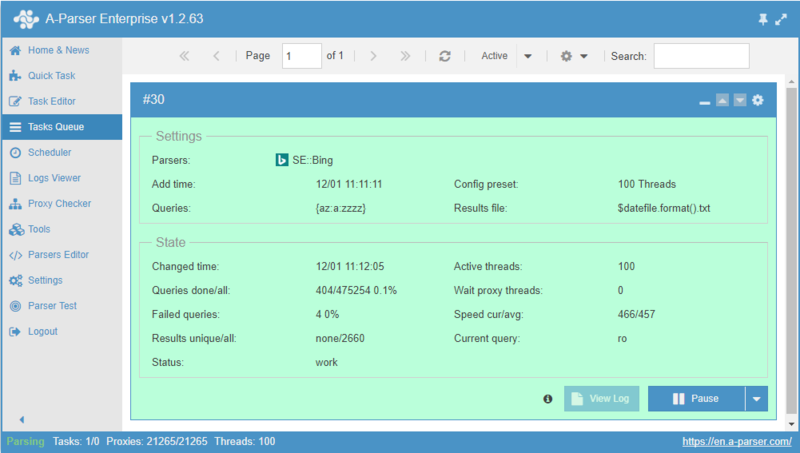 Schedule the continuous processing of several tasks without requiring further user input. 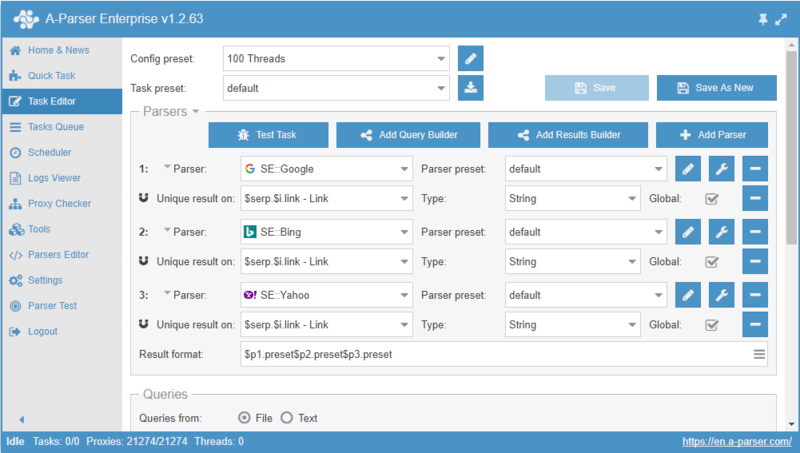 A-Parser allows the customization of each parser, saving unique settings for individual presets. 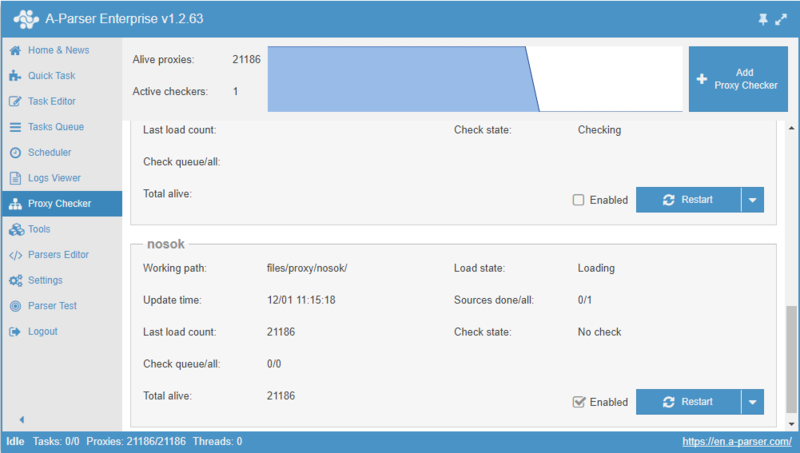 A-Parser supports HTTP and SOCKS5 proxies; including authorization, loading, and checking of proxy passes in multithreaded mode. 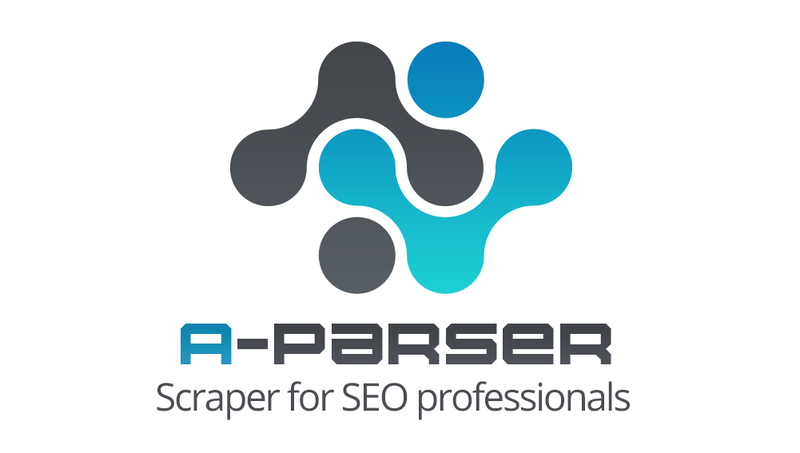 A-Parser uses a powerful template system for generating queries and results. Templates to be tested prior to use using the included tools. 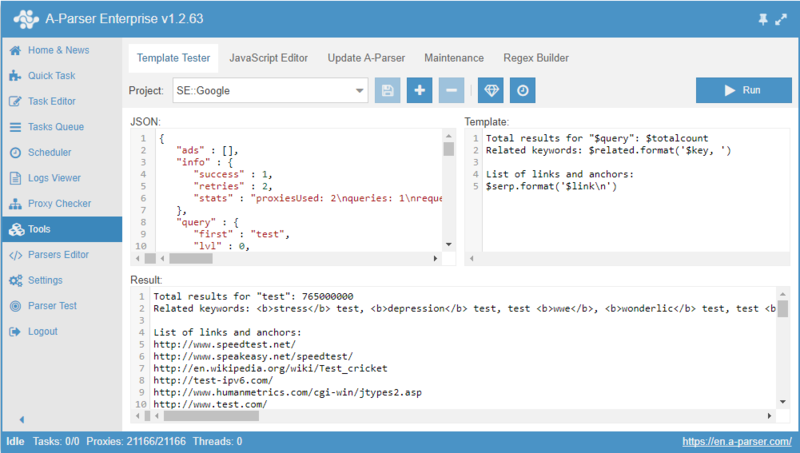 A tool for testing individual parsers - query processing and parsing results are displayed in the completed log. To further explore A-Parser and fully understand its benefits we recommend reading some of our first-hand user reviews. You may also select a version of A-Parser or purchase a license!